The first of several posts containing info about the last chapter of the Beyond series hit the official forums earlier today and Frontier covered some of the new features coming to exploration. When designing new features, Frontier mostly focused on several very frequently requested features when it comes to general gameplay and ingame time spent when moving around and exploring the galaxy. Make exploration more involved: By introducing a process Frontier aims to make exploration feel more meaningful, making the results more satisfying and rewarding. Replace flying time with gameplay: The idea is to reduce the amount of time you have to spend flying to a planet just to discover it. The only time needed to fly to a planet is because you want to visit it as there’s something there you want to see or do. Ultimately that will make exploring planetary bodies and getting first discoveries in a system quicker and more engaging at the same time. 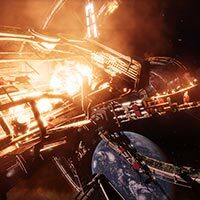 Improve multiplayer exploration: With both of the module upgrades Frontier is making sure that wings and multi-crew are supported. All new "First mapped": You'll be able to add a first mapped across any planet within the galaxy, including within the bubble. Giving all players that have joined the game since its launch even more opportunity to make their mark on the galaxy. Because explorers ply their trade far from civilized space, Frontier decided to not add new module requirements. 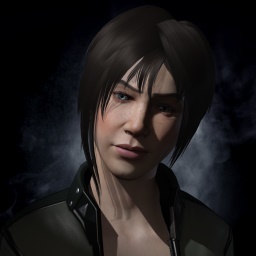 Instead, to improve the discovery scanner and detailed surface scanner so Commanders can jump right in as soon as the update is released, without having to spend time traveling back to a port to purchase new gear. A new opportunity to get your Commander's name immortalised in the game with the new 'First Mapped By' tag is also being implemented. The first person to successfully map a planet to 100% and sell the resulting data at a port, will be awarded this tag. This also applies for planets that have already got a 'First Discovered' tag as well. As part of the exploration update, multi-crew members will be able to use the discovery scanner and detailed surface scanner at the same time and all discoveries are shared among crew or wing. Finding it to be really fun. Disliked it initially, but got the hang of the various new functions now and they have enhanced the experience. Particularly like the ornery on the system map. Also like how the new surface/system mapping Works despite initial reservations. Entering and discovering a system has that feeling where you're opening a parcel and don't know what's inside. Its really fun going through the steps of the process to open it. It doesn't speed or slowdown exploration, it just makes it more fun really. I.E. : "We couldn't think of anything to improve, so we decided to make something simple into it's own grind. Always seems to work for us here at ED"... Could just ping the whole system from supercruise with the discovery scanner and be done in 5 seconds. Now it'll be it's own grind (like we need more of that). This is NOT content I want at all!